We demonstrate what is possible when school and community collaborate to create inspiring adults with the academic and social-emotional readiness to lead as Global Citizens. 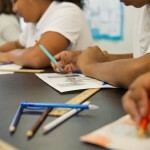 The suggested donation for 5th Grade is $45.00 for field lessons and $25.00 for school supplies for a total of $70.00. Below fields are populated with suggested amounts. Please adjust the amounts to fit your family budget. All monthly donations will stop June 1st, 2019 for the end of the school year. 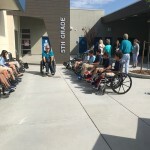 At Westlake Charter School we demonstrate what is possible when school and community collaborate. Each year WCS purchases all supplies for our students. Westlake receives a volume discount and purchases only the exact supplies necessary for learning within our classrooms. This year, there is no need to purchase supplies, we will provide what your student needs. We ask for a $25 donation to cover all consumable supplies, all you need is an empty backpack.